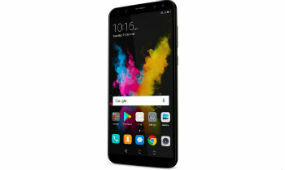 Honor, The E-Brand of Huawei, offering irresistible offers on its recently launched 9i smartphone. Honor 9i is a photo centric smartphone, houses dual camera setup on both side. These offers can be available via Flipkart.com from 28th to 30th November. During this 3 days sale the Honor 9i is available at 17,999 Only where as the original Mrp of this smartphone is 19,999. Honor 9i was launched in the Indian market on 6th October. The biggest highlight of this smartphone is 5.9-inch bezel-less Full HD+ display along with Dual Camera Setup on both Side. Honor 9i Houses 16MP + 2MP Dual Camera on Rear Side and 13MP + 2MP Dual Camera on front side for selfies. An octa-core Kirin 659 processor powers the handset clocked at 2.36GHz bundled with 4GB of RAM and 64GB of storage. It runs on EMUI 5.1 based on Android 7.0 Nougat. The handset is packed with a 3340mAh battery. This smartphone also comes with multi window (split-screen) functionality means you can run two apps side by side to enjoy true multi tasking capability. Announcing the offers on Honor 9i P Sanjeev, Vice President, Huawei Consumer Business Group said, " The encouraging response to Honor 9i has motivated us to introduce these attractive offers. We are confident that these privilege offers will help more aspiring consumers become proud owners of Honor 9i and help us extend our consumer base making us the preferred brand among discerning smartphone users. “The Smartphone Of The Year” ( Mid range) by Device World 2017, Company said in the release.